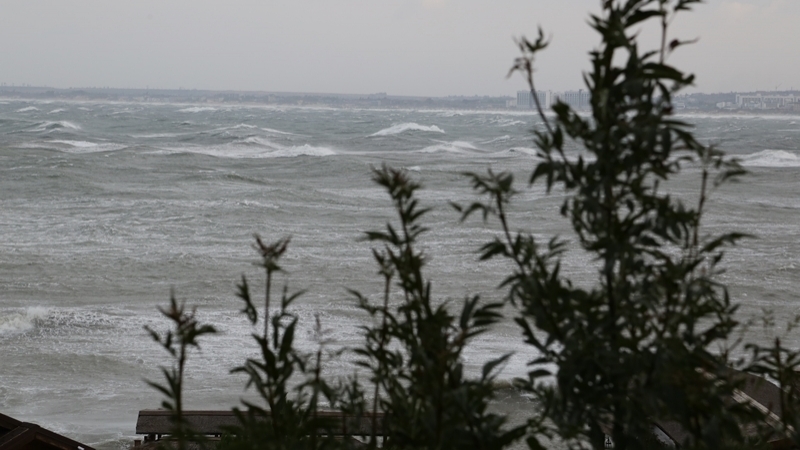 A severe storm and an extreme wind caused work stoppages of the Kerch ferry crossing. In Kerch on Wednesday, September 27, a strong storm and hurricane wind caused work stoppages at the Kerch ferry crossing in the occupied Crimea, part of the city's districts were de-energized due to the damaged power lines. “The ferry is not working for 34 hours already. As of now, a backlog of 300 passenger cars, 60 buses and 150 light trucks is observed in the port of Kavkaz. In the port of Crimea there are 550 cars, 55 buses and about 100 150 light trucks,” the Marine Directorate informed. Moreover, 350 trucks from the Krasnodar Territory and 550 trucks from the Crimea are expecting the traffic to open the on special areas, according to the management. Meanwhile, the weather forecast is disappointing - the wind is getting stronger and might reach the velocity of 27 meters per second, presumably, the crossing will be able to resume work on Friday morning, the Marine Directorate said. The company again asks drivers to refrain from traveling through the ferry crossing until the weather improves. Due to a strong wind, car owners are recommended to monitor changes in the work of Kerch ferry crossing.